I was asked to be the keynote speaker at a conference in Romania organized by the World Road Congress PIARC. The subject was risk management in highway operations and I was pleased to have the opportunity to represent the World Bank at the conference. My presentation was well received—and some even didn’t mind my comment that we should not talk about ‘acts of God’ but instead ‘natural disasters’. Several commented that it greatly contrasted with those of the other speakers. For this I can thank Presentation Zen: the saviour from what I call ‘Death by Powerpoint’ (DBP). After attending a conference in Romania I had decided to run the Athens Classic Marathon so that gave me an excuse to finally visit Greece. 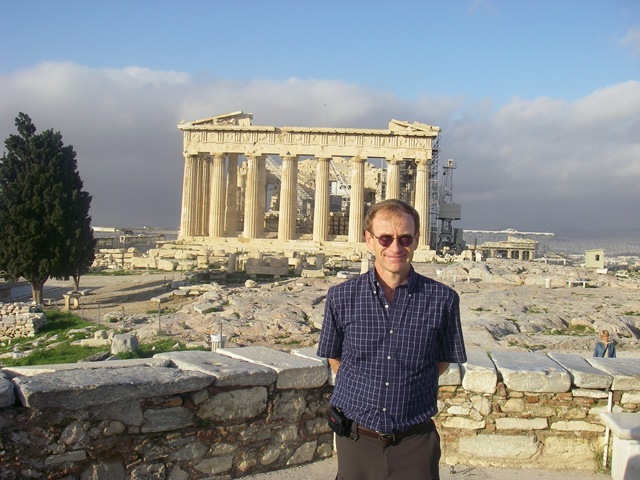 Ever since I was young I was fascinated with Greek history—in fact, I only got into second year of engineering school because I got an A+ in my classical history humanities course which got my overall average just above the cut-off. So I arrived Friday morning from Romania excited to finally see some of the places which have long held my imagination. One of the few benefits of being a perpetual traveller is the fact that I get to catch up on my reading during my trips. I accumulate various technical journals which I lug with me, eventually discarding, as well as books. Last mission I finished ‘For Whom the Bell Tolls’ by Hemingway and for this mission my friend Genie suggested ‘The Glass Castle’ and went as far as lending me her copy. I’m glad she did, as it is the best book I’ve read this year, or probably the last several years. You are currently browsing the World Bank Traveller blog archives for November, 2009.